Denver’s Most Productive Brokers are at The Denver 100. We know that buying or selling your home is serious business. That’s why we recommend choosing a Broker that best suits your particular needs and interests. While it’s important to ask potential Brokers a number of questions relating to their experience, and routines, it’s also important to listen for questions they may ask you. With our new searching capabilities, it’s easier than ever to find a REALTOR® that’s just right for you. Now, our users can select a Denver 100 Broker based on their unique characteristics, such as their area of expertise, or even by local neighborhoods they specialize in. If you’re not exactly sure what you’re looking for, we can help with that too. Through continued education, a community of trusted advisors, and an incredible support staff we stand behind our REALTORS® every step of the way. Dedicated to their business, and their clientele, our agents are always at the top of their game. The professionalism and quality of service this company offers is of the highest standard! 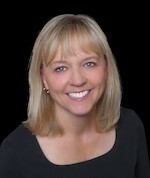 Becky has become one of Denver’s top real estate brokers and was named 5280’s “5 Star Realtor” every year since 2011. This distinguished award highlights Becky’s impeccable work ethic and her years of knowledgeable and professional experience in the Denver market, making her an industry expert in the Denver Metro Area. Becky and her husband Juris are raising their two boys in Littleton, who keep them very busy on and off the hockey ice, a passion shared by the whole family. Becky also enjoys yoga, travel, photography and a new passion for gardening. and wanting to start a family. I stayed home with my daughter (Abby) until she started school. After careful consideration of my options I began my career in real estate. It’s been ideal! Because my business is largely referral based, I go where I’m needed; which means I work all over the Denver Metropolitan Area and outside it, too. Buying and selling real estate can be stressful, let me help you! garnering the designation of CFP (Certified Financial Planner), and continued this for 30 years. Needing some new frontiers, now instead of searching the financial markets for good deals, I search the real estate market working with both buyers and sellers. With my background in finance and rental properties, I am also able to help my clients who seek income oriented properties for their investment portfolio. Joining Denver 100 is a privilege I don’t take lightly. It is great to be a part of such a respected organization!! The organization’s personalized approach and its reputation for knowledge, honesty, and efficiency stands out in the industry. singing with the worship ministry in her church; or enjoying a round of golf. From first time home buyers to the most astute of buyers and sellers, Sande is your trusted real estate resource. Joining The Denver 100, LLC has given me the opportunity to assist my clients with their real estate goals and provide them a dedicated resource and advocate for their real estate buying and selling needs. My devotion and care, my attention to detail, and my exceptional customer service are my commitment to my all of my clients. After being raised a military brat, I finally found the place I would call home when moving to Colorado in 1977 and have lived here ever since raising my three extraordinary sons. I am devoted to my yoga practice, am an avid golfer, a writer pursuing my first novel, and love the creativity of painting and drawing. Tim is the Mozart of Real Estate. With over 19 years of experience, he is able to orchestrate your buying and selling needs with the skill of a finely tuned professional. Relax and enjoy the harmony of your transaction in Tim’s hands. As a long time Colorado resident Becky is a renowned REALTOR® that proudly serves her clients providing the utmost level of customer service. Her personal experience, integrity and strong knowledge of the real estate market in Denver and Suburban neighborhoods makes her a good choice when hiring a REALTOR®. Her approach is consistent and focuses on adding value to her clients. She makes this her principle goal throughout the entire process. Becky loves helping people successfully sell their homes and own their dream home. It’s all about the client! Roy has lived in many Denver neighborhoods and suburbs, and would love to help you sell your home and make your next home purchase a pleasant experience. 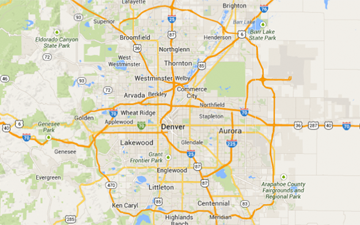 However, being a long-time Denver resident, I feel comfortable with my knowledge of the entire metro area. Always an eager student, I continue to take real estate classes on subjects such marketing in order to best serve me clients. When not assisting clients I enjoys exercising, baking, and volunteering at her twin daughter’s school! Time and experiences have taught me that my ears are my most important sales tool. Hearing and clarifying my clients’ needs and then executing a plan to provide above and beyond SERVICE is what has set me apart from my competitors. Buying and selling homes is a repeatable process. As such, it lends itself to being studied and improved continuously and that is what I do. From start to finish, you will fully understand the process and where we are in the process. Unexpected issues, uncomfortable conversations, inaccurate information can creep into any deal. Count on me to research the options and get us back on track quickly. I have led clients through the process of making rational and confident decisions regarding the buying or selling of residential real estate from Fort Collins to Colorado Springs and from Conifer to Franktown. 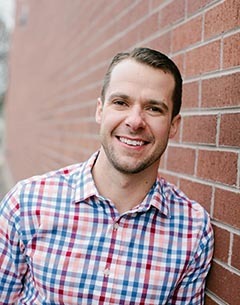 Brad Lewis – The Colorado Real Estate Concierge. Going above and beyond for my clients – every day – is what makes all this worth doing. Becky and Greg live in Lone Tree. They have 4 grown children and 4 grandchildren, which keeps them young and very busy! Greg has experience selling Residential Real Estate from Estes Park to Colorado Springs and everything in between. He has sold many “New” Construction homes working with builders and contractors, works as a Buyers Agent as well as a Listing Agent. He holds the designation of GRI (Graduate Realtor Institute) and is a CRS Agent (Certified Residential Specialist). Just 4% of all REALTORS in the U.S. hold this designation. He loves what he does and enjoys the interaction with his clients as they work towards the goal of a successful closing. Greg and his wife Becky live in Lone Tree. They have 4 grown children and 4 grandchildren, which keeps them young and very busy! She has been married to her high school sweetheart, Darrin for 17 years and has two beautiful kids, Julia who is 17 and Jordan who is 15! Kyleen is thrilled to join forces with Team Newman at The Denver 100. With over 30 years of Real Estate experience within her team, Kyleen is confident that each of her clients will receive the top notch care and attention they deserve! 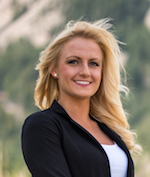 As a born and raised Coloradan, Alexis knows and understands the Denver Market. Growing up in a household of Real Estate Brokers her skills in sales and customer service excels beyond her years. Alexis graduated from The Leeds Business School at the University of Colorado, Boulder with an emphasis in Finance and Real Estate. She has a passion and commitment to adding value to her community by attending Denver Social Events and continuous volunteer in the community. Jack O’Connor started his real estate career in 1979 and became a top producer in a 700 sales agent firm. He has participated in over 2600 transactions and has sold in excess of $450 million in sales volume. 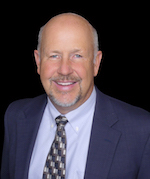 Jack is the Broker Owner for The Denver 100, LLC, an innovative real estate services company in the Denver Metro area. Jack has been recognized as “Manager of the Year” by a large Denver firm and was awarded the “Executive of the Year” for innovative leadership techniques, in addition to being nominated as Ernst and Young’s Entrepreneur of the Year. He has spoken nationally and internationally on management and sales topics. should be fun, exciting, challenging and rewarding, and I intend to harness these emotions when working with my clients. I personally have a passion for the real estate industry and hope to show my clients how beneficial it can be. My goal is to help my clients make smart housing decisions so they experience real estate as a fun and rewarding experience. The process and experiences with my past clients has ignited my real estate career and has forever changed me as an individual and the goals I set for myself and them. I had no idea real estate could be such a vehicle for me and I hope to show and share these experiences with all of my clients. My goal is to help my clients make smart housing decisions. Whether they are buying their first property or selling their last, I want them to be as well informed as possible. I enjoy teaching my clients about the market so they can feel comfortable about their decision. Real estate can be scary and overwhelming at times, but I strive to stay patient, communicate effectively and provide a level of service they will soon not forget. My client relationships are strengthened through honest advice, trust, hard-work and solid communication. I try to work by referral as much as possible and therefore must provide each and every client with a positive, memorable experience so they are comfortable referring me to their friends, coworkers or family. setting her apart from the competition in the Denver market, making her an industry expert. Rachel, with her husband Jake, are raising their two daughters in the Denver suburb of Littleton, and are active in family and community. She loves to play golf, tennis, ice hockey and travel. and to make home buying a pleasant and exciting experience. Whether a first time home buyer or experienced veteran you won’t find a more thoughtful and genuine broker willing to find you the best deal. Lynn’s specialty is working with custom homebuyers seeking to find the perfect builder and community in which to build the home of their dreams. 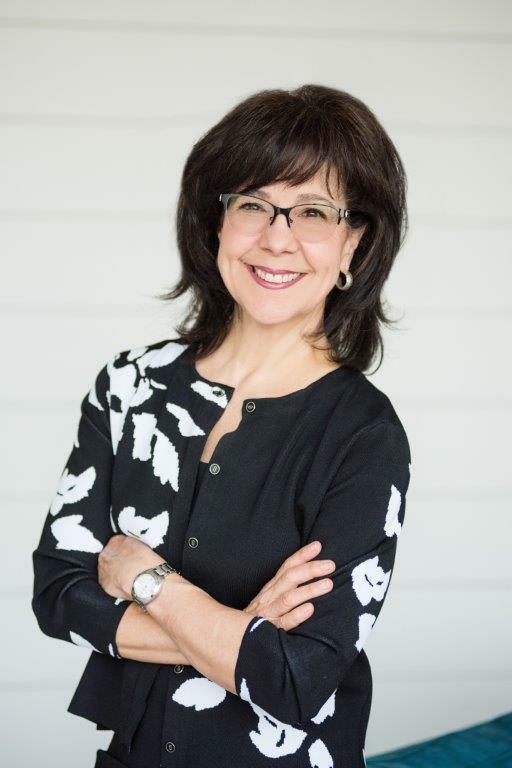 By listening carefully to the unique needs of each customer Lynn has developed an amazing ability to match each homebuyer with the custom builder who can best turn their vision, style, and dreams into a reality. She couples award winning and nationally renowned custom home builders with long-standing Denver developers who are best known for classic quality and ageless communities. 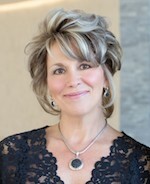 Presently, Lynn is actively promoting Estancia, one of Southeast Suburban Denver’s premier custom home communities. In addition, she regularly works representing buyers and sellers in the Denver Metro area including The Preserve, Greenwood Village, Cherry Hills, Castle Pines Village, and Hiwan. Personable… Patient… Professional. All characteristics Kellen portrays in not only his career, but his life as well. Kellen graduated from Westmont College where he played 4 years of baseball, and now balances his life as a Realtor with being an assistant baseball coach at Valor Christian High School. He is a man of integrity which is very apparent not only in his real estate transactions, but in every aspect of life. As an ambitious realtor, Kellen strives to put his clients first in every transaction, guiding them through each step. Marvin Sonenreich is a Denver native and comes from a long and varied real estate background. He and his family have been in Denver real estate for over sixty years. Marvin started his career as a broker in 1989. He has since gone on to become an award winning, top sales producing broker and has been nominated into Who’s Who of American Real Estate. Marvin continues to sell fine homes throughout the greater Metropolitan area and looks forward to assisting you with all of your real estate needs. Ryan understands the importance of hard work, customer service, and the communication of the process to his clients. Ryan has lived in Denver for 15 years and has climbed 50 of Colorado’s 14ers. His dedication to mountain climbing has taught him important lessons in, goal setting, preparation, commitment, sacrifice and most importantly hard work.